For several years now, the Arrowverse certainly hasn’t been shy when it comes to fleshing out the Multiverse. In fact, last year’s crossover event, “Crisis on Earth-X,” really took that concept to new heights. But now that we know of how this fall’s offering has been dubbed “Elseworlds,” it’s expected that a wealth of new storytelling possibilities will open up. So, if you required something else assuring you how grand in scale this three-night special will be, it’s worth knowing that LaMonica Garrett (The Last Ship, Designated Survivor) has been cast as Mar Novu AKA The Monitor. Readers of DC comic books will instantly recognize this character as part of a race of beings who oversee the Multiverse as a whole, so you’d better believe that his involvement is a pretty big deal. Right now, all that’s known about this “extraterrestrial being of infinite power” is that, according to Variety, he “will play a ‘prominent role’ in the crossover.” Whether he serves as a narrator or shows up to greet our heroes in the flesh remains to be seen, but I can’t help wondering if this opens the door for the villainous Anti-Monitor in the future. 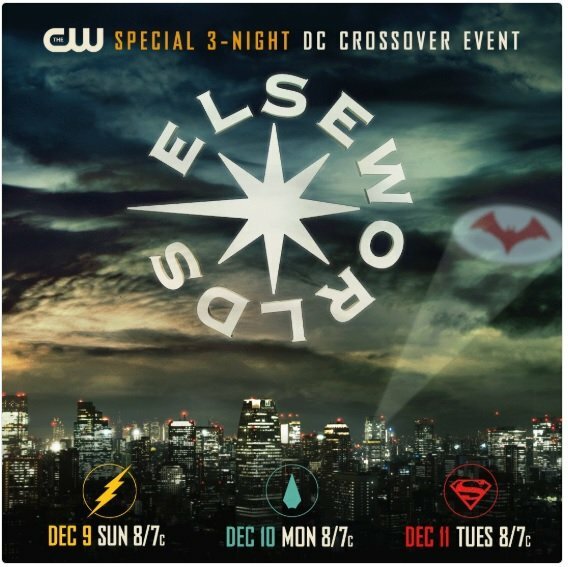 If you need to be brought up to speed on “Elseworlds,” let us also reiterate how Ruby Rose will suit up as the first ever live action iteration of Batwoman, Tyler Hoechlin will return as Superman, Elizabeth Tulloch will play opposite him as Lois Lane, and Cassandra Jean Amell has been cast as Nora Fries, wife of Mr. Freeze. And if that weren’t enough, Jeremy Davies has jumped aboard as Arkham Asylum’s Dr. John Deegan, who seems to be placed in an antagonistic role.